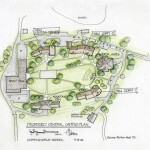 In 2005 Malone Belton Abel was asked to provide, in a one-month time frame, a planning document to address the entire campus of the Girls School from a broad perspective. Specifically we were asked to determine the ideal approach to remodeling and new construction, without consideration of cost, which would come at a later stage. The basic dilemma for the staff is that they have “a whole lot of building with very little useable space.” In the past, Band-Aid solutions have not resolved the overall problem of inefficient use of the existing buildings. 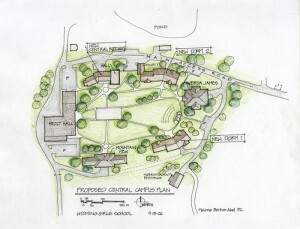 The primary questions addressed by the Preliminary Master Plan were whether to replace or remodel two Dormitories; and if remodeled, should they continue as dormitories or be used for some other function. The other two Dormitories would require renovation in any case. · Analysis of overall suitability of all existing buildings on Campus. · Requirements for new and/or remodeled buildings. · Estimate of size and cost for new buildings. · Estimate of cost of any major remodeling. · Phasing narrative for sequence of construction and/or remodeling. 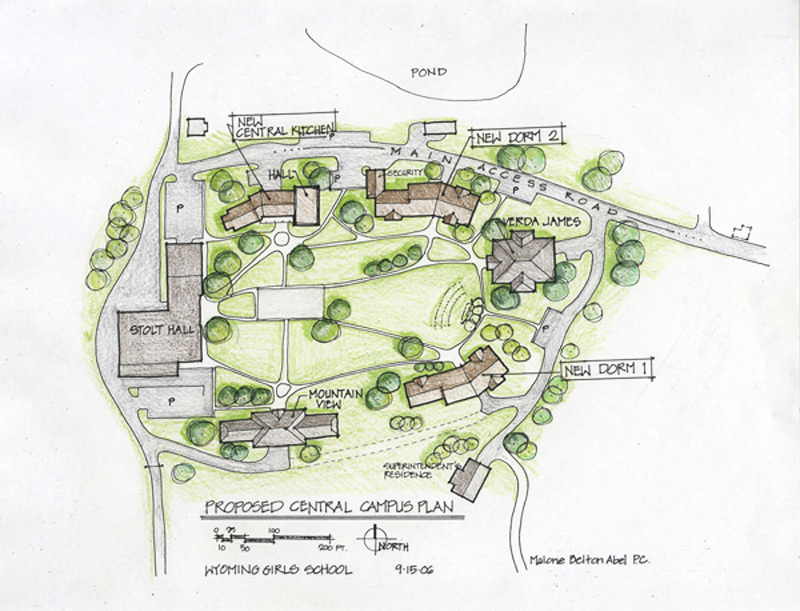 · Existing and proposed sketch plans of the Campus. · Existing problems, other than recurrent maintenance. · Opportunities for renovation and reuse. · Construction, renovation, or demolition recommendations, including phasing. · Estimated project costs, which came within 3% of actual costs. The preliminary report concluded with possible next steps. After determining realistic funding possibilities, the Girls School in 2006 asked our firm to re-work the master plan to bring it into conformance with the possible funding.